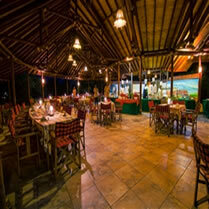 Based in Amboseli National Park, set at the foot of Mount Kilimanjaro, the highest mountain in Africa standing at 5896m. Situated 140 kilometers south of Nairobi. Amboseli National Park is the second most popular national park in Kenya. Kibo safari camp offers complete tranquility and privacy as the camp has maintained the original environmental feel bringing you closer to nature. 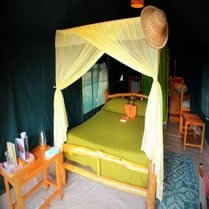 Kibo Safari Camp has 73 self contained tents and the beds have been custom designed, locally made using bush logs with the African rustic furniture, mosquito nets, clothes rack, carpet and writing desk, it’ll be a home away from home. At the end of your game drive, relax and cool down in the swimming pool as you view Mt Kilimanjaro. 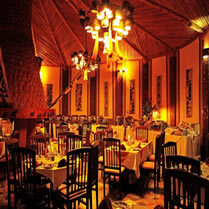 There are 80 luxury chalet-style twin rooms, all with an uninterrupted view of the wetlands or Kilimanjaro. 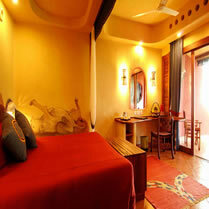 Stylish and comfortable, the rooms have private bath rooms and individual terraces. 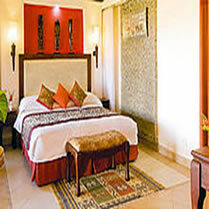 The beautifully appointed rooms provide quality, comfort and attention to detail. The presence of the wilderness can be felt in the silence of the night. The crystal clear waters of the swimming pool are shaded by the occasional acacia tree. The pool deck has sun beds for relaxation and soaking up the afternoon African sunshine before the evening game drive. luxury ensuite rooms are accommodated in two single-storey dedicated buildings, which lie to the right and left of the main reception and dining areas. Each tastefully-appointed room features a Maasai-inspired, hand-painted, wall fresco, king-sized bed or luxurious twins, lavish all-encompassing mosquito-curtaining, bathroom (with walk-in shower), writing/vanity unit, and private veranda. We also have a luxuriously appointed, extremely spacious, two bedroom Presidential suite with a private dining room and an attached kitchenette, and also with a huge lounge and a quite simply vast veranda. 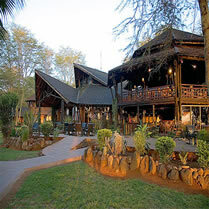 Amboseli Sopa Lodge is set within mature wooded gardens with a wide variety of trees and plants which include thorn trees, Acacias, fragrant Frangipanis, colorful bougainvillea and giant cacti which all thrive in these surroundings. The gardens are also home to numerous species of birds as well as monkeys, mongooses, squirrels, duikers and gazelle. 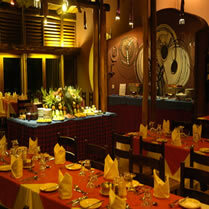 Sentrim Amboseli offers luxury guest accommodation and services. 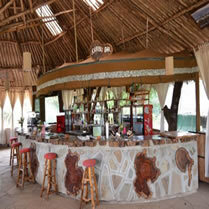 It is located on the border of Amboseli National Park and 3 Kms from Kimana gate. 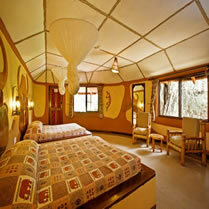 The 60 luxurious and comfortable deluxe tents spread out across the plains and offer fantastic views of Mt. Kilimanjaro. 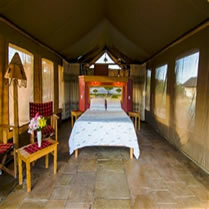 The modern and cosy tents consist of an ensuite bathroom.